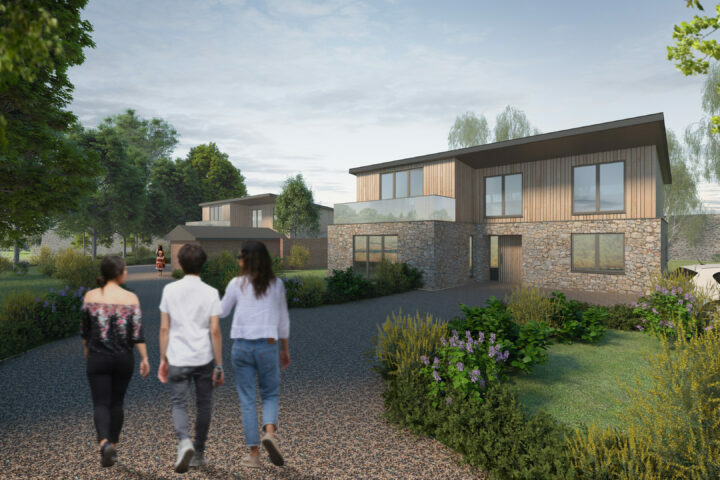 Demolition of swimming pool & construction of a new build 2 storey house in the grounds of a listed building, including full renovation and retrofit of the outbuildings within the stable yard of the Old Rectory, Wrington. 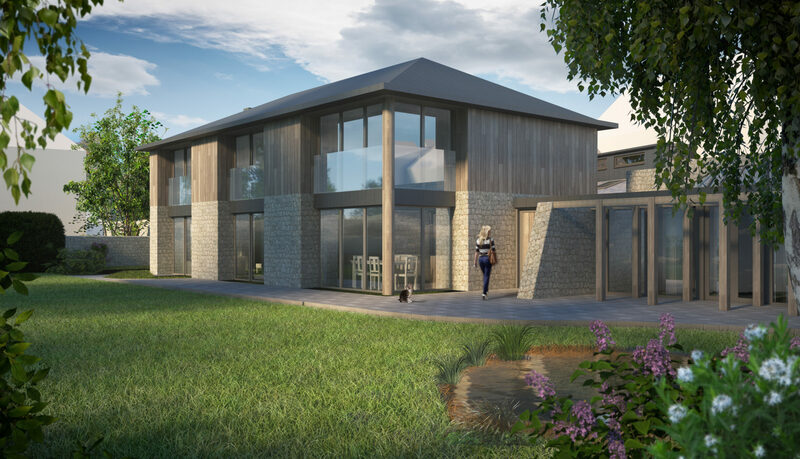 The client asked us to design a new home for their retirement on the site of their existing swimming pool. 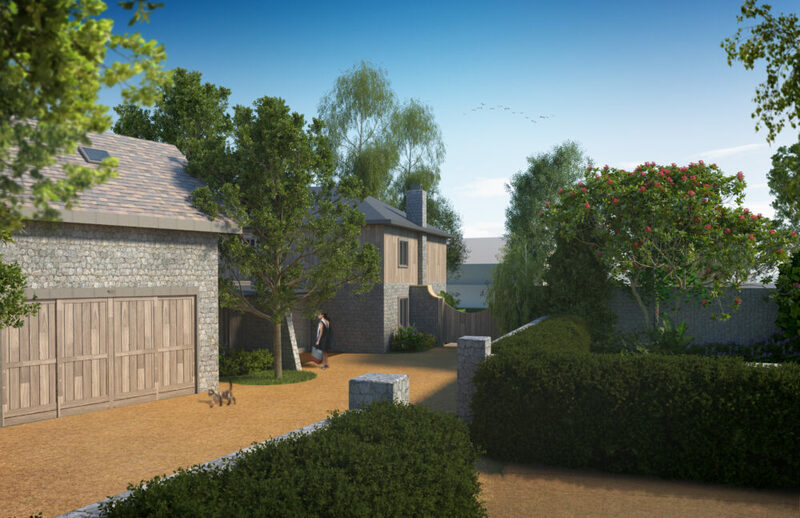 The proposed scheme comes from detailed analysis of the existing Old Rectory, its surroundings and location within the village. 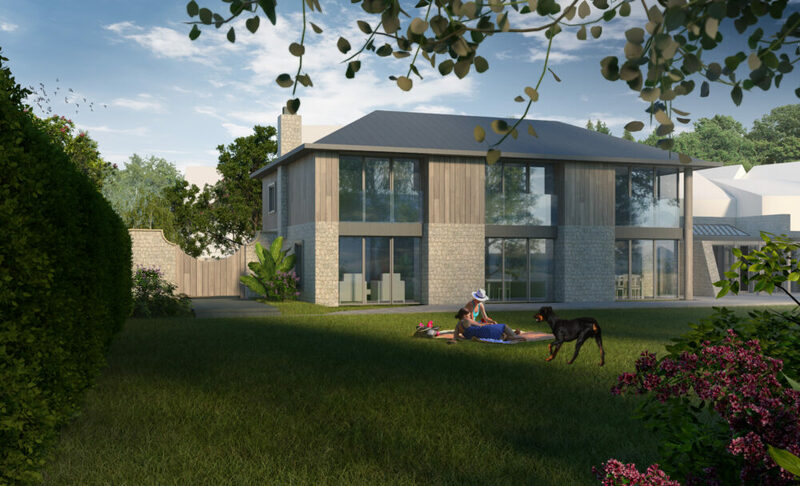 The scheme provides a 4 bedroom house on a plot to the east of the existing house, where there is a natural boundary line in the mature gardens. It was submitted for a full Planning Application in July 2018. 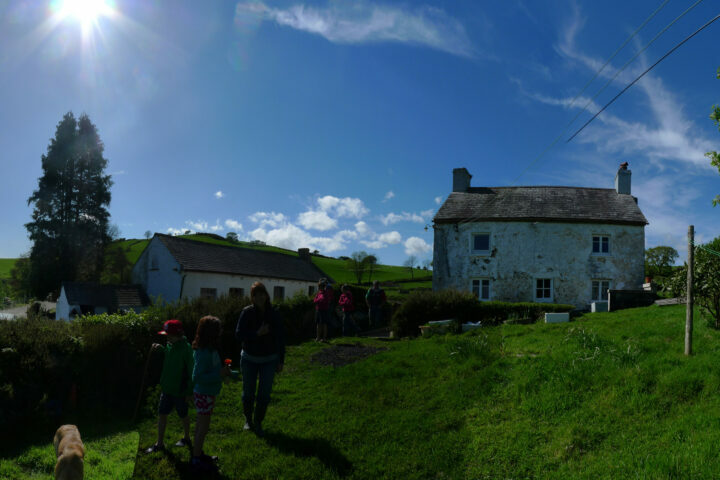 The name “Stream House” pays tribute to a partially submerged stream that flows through Wrington. The active and running stream surfaces in the grounds of the Old Rectory and also supplies a pond in the west corner of the gardens.